Jeep Roof Tent Deep Dive - Expedition RTT Camping in Style! Home Gear & Tech Jeep Roof Tent Deep Dive – Expedition RTT Camping in Style! 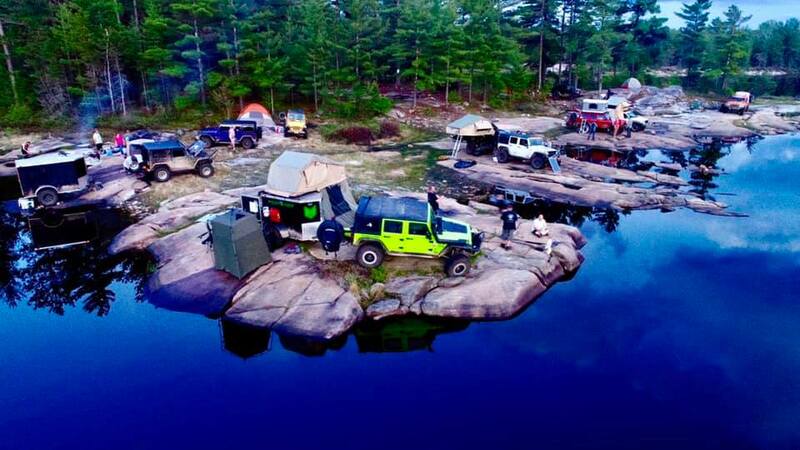 Are you dreaming of having a Jeep rooftop tent and driving off into the wilderness and setting up camp? 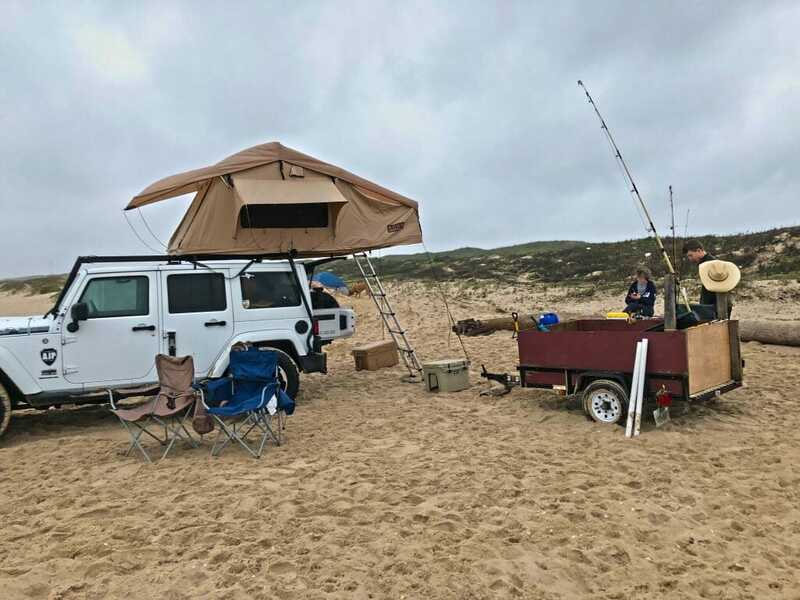 We’ll help you understand the ins and outs of choosing a rooftop tent for your Jeep and what options are available to satisfy your mission based on your vehicle type. Are you a heavy duty rock crawler who may camp sometimes? Are you an Overland dreamer and using four-wheel drive to explore and camp in the backcountry? Knowing your mission will help you narrow down your choices and set you off on the right foot for enjoying your rooftop tent. 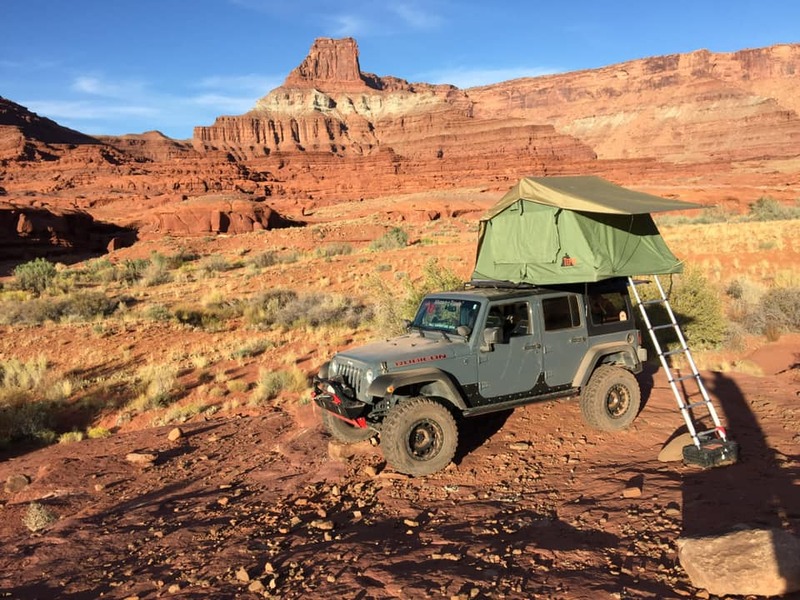 If you’re into rock crawling, then a lower center of gravity may be better than adding additional weight to the top of your Jeep, but if you’re into overland camping, then a roof-mounted tent or a trailer towed tent would satisfy your mission. There are no absolutes here; both install options are great but be aware of how extreme your mission will get and that having 200lbs on your roof or a heavy trailer behind you will impact your capability and performance. If you drive any Jeep besides a Wrangler, you’re in luck. Your roof rating for a dynamic and static weight load can hold quite a few rooftop tent options. Your only additional cost is the actual roof rack rails and rail feet (if needed). Jeep Wranglers don’t certify the roof for a roof rack systems weight. This fact alone was a huge factor of my choosing to go with a trailer towed tent vs. installing an RTT on the roof of my Jeep Wrangler. Manufacturers that provide 3rd party roof rack systems will rate their system for vehicles. The Thule Rack System for Jeep Wrangler has 165lbs of dynamic rating – which means that at most you can carry 165 lbs of rack + gear on your Jeep while the Jeep is in motion. Again, for the Jeep Wrangler, the static load limit is missing. Always know and understand the limitations of your equipment including the weight, balance & installation requirements. 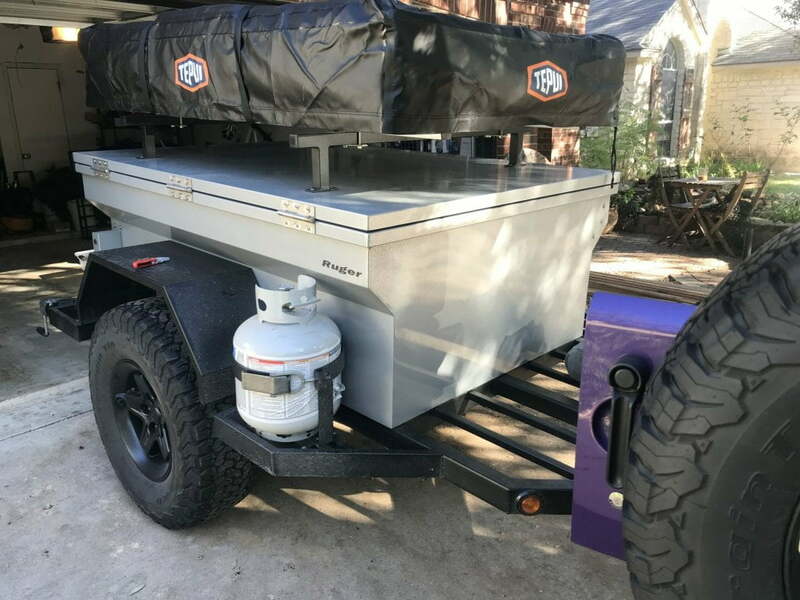 I would advise against installing an RTT on a Jeep Wrangler Hardshell Top simply because it isn’t static weight rated – but that doesn’t mean you have to follow my advice or that we don’t have other choices. 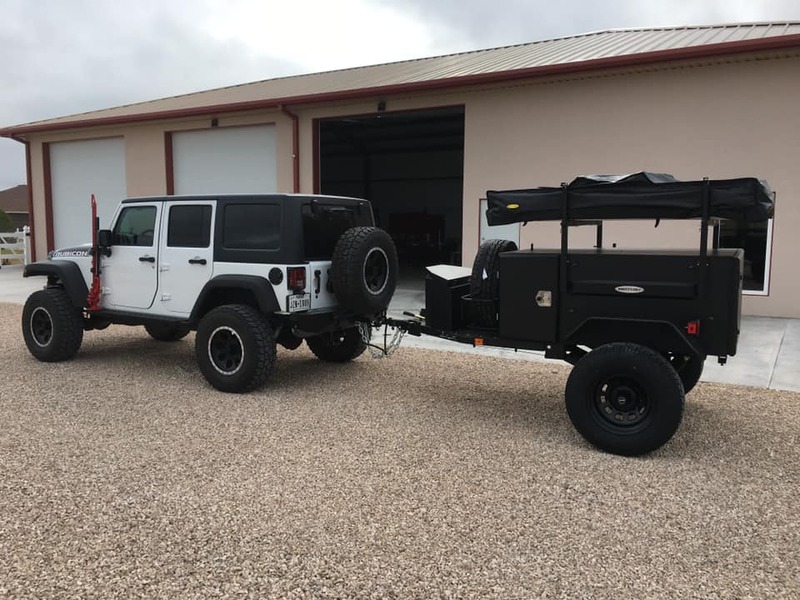 Knowing that Jeeps don’t do a static load rating on their roof, we feel that your best options are to install a roll-cage style frame supported rack mount system or to use a trailer to mount your RTT. If you’re still interested in roof racks options, check out our Jeep Wrangler Roof Rack Guide. If you have a standard roof rack system and a non-Jeep Wrangler vehicle, then the factory rails mounted roof rack system (or 3rd party roof rack) on your vehicle is the lowest cost of entry into Rooftop Tent Camping. The standard roof rack system affords you the ability to remove equipment during the off-season to save on gas and securely stow your tent away when not in use. The full height of the tent above ground means roof rack mounted RTT’s are excellent for those who want a full height annex as well. RTT tents are often extremely heavy to install and remove so do so with a friend or multiple friends who can help you load & unload safely. Affordability – Lowest cost of entry. Removable – Heavy, but is removable during of season. Feels top heavy on short wheelbase vehicles. Again, it bears repeating – This is not advisable on the Jeep Wrangler line of Jeeps. We recommend a tow behind RTT on a trailer setup or roll cage Jeep Rooftop tent setup for Wranglers. 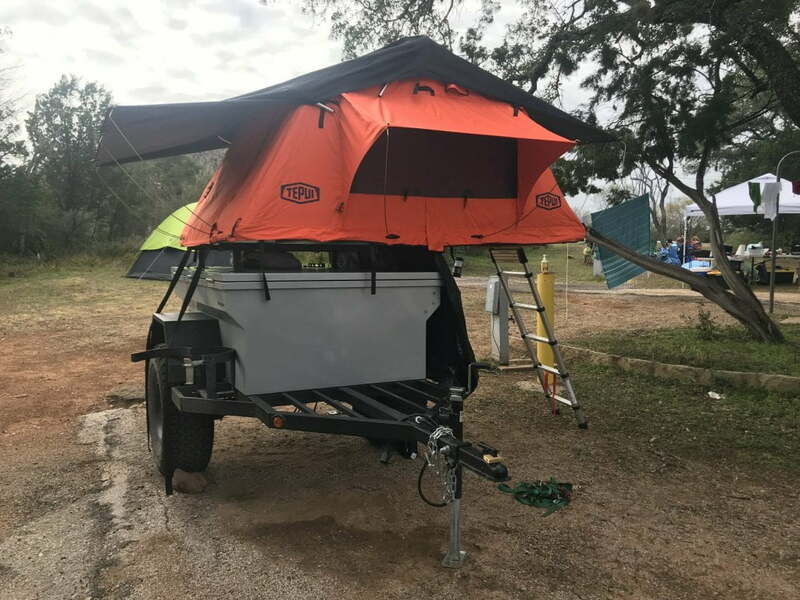 Roll cage mounted rooftop tents offer strength and durability over a bolt on system or aftermarket removable rack system. With full height above ground and three ways to open up your tent – left/right or rear, you have a lot of options and flexibility. Roof-mounted tents have the luxury of plenty of room under them for awnings and annexes. If you desire to have an annex for more living & personal space while camping then having your tent mounted on your roof may be the best option. One pitfall of installing a roll cage is that they can be noisy and reduce your gas mileage. If you are going the roll cage style mount, I recommend you spend a fair amount of time looking up reviews and asking for feedback from other owners before purchasing any of these systems. 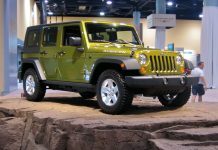 If your Jeep is a dedicated overland vehicle and not a daily driver, then the reduced mileage and noise may be moot as both usually happen at highway speeds. We all know Jeeps aren’t blessed with good gas mileage to begin with. Heavy Duty RoofRack & Roll Cage – Holds a ton of weight & other options. Durable compared to a bolt on roof rack. Everything is bolted to your vehicle – minimizing theft. Trailer mounted tents offer a great balance of all choices – you get the experience of camping above the ground and the ability to leave your trailer with tent set up as a basecamp. On my trailer, the roof rack isn’t as high as it would be on a vehicle so using an Annex isn’t really a viable option however on some trailers you can crank up or extend the rack system to be higher once your vehicle is stationary so there are options and trailer choices to increase the height. As with any decision you take, choosing a trailer mounted option snowballs into other things you may want to plan for. For example, If you’re towing a heavy trailer or plan on going on more difficult off road terrain, then a brake controller and electronic brakes on your trailer are highly advisable. Additionally, I recommend you look into several hitches that are explicitly designed for unimproved road and off road use. The standard ball hitch works excellent on the highway, paved roads, and flat dirt roads but if your mission includes anything more aggressive and off camber then I’d I’d suggest you check out the hitch styles below. If you go the trailer route and wish to go off-roading, I would opt for a trailer with electronic breaks and implement an electronic brake controller. Jeep Wranglers don’t come with built-in brake controllers, so you have to go with a 3rd party solution. After many months of digging around and watching for options and reviews, the following controllers have positive reviews and many recommendations. I use the Prodigy P2 brake controller. Three well-known hitch systems offer extended off road capabilities over ball hitches. These hitches will allow further articulation, rotation and off camber capability improving your off road towing capability and safety. 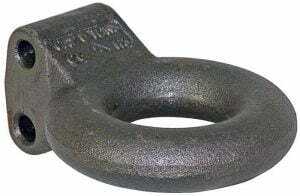 Pintel hooks and lunette rings have been popular on military trailers – the infamous m416 trailers that many Jeep owners are building, restoring and modifying for their adventures usually have a Pintel style connection. These are incredibly durable for rough terrain. The lunette ring is attached to your trailer. The Pintel Receiver hitch is attached to your vehicle. 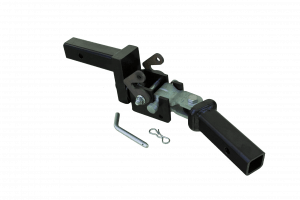 Once the pintle receiver grasps the lunette, your trailer can rotate around & articulate fully. Many different manufacturers offer pintel & lunette hitches and receivers of varying designs & capacities. No tools are required to disconnect your trailer from the receiver. These are generally considered maintenance free hookups. Lock N Roll hitches are another style of fully articulating hitches with many configurations for your trailer, weight and mission needs. 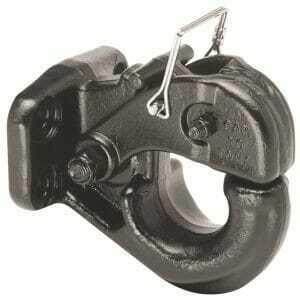 These are manufactured in the US by lock N roll and designed for specific trailers, weights, and uses. No tools required to disconnect your trailer from the receiver. Another design picking up traction is the Max Coupler receiver & hitch system. The max coupler is a three-axis coupler offering full rotation and a stable connection to your trailer. There is no chance of uncoupling short of failure. Tools are not required to disconnect your trailer from the receiver with newer Max Couplers. (Some versions may still need tools to separate). Max Coupler hitches do require maintenance and lubrication. Please follow the manufacturer recommendations. Some trailers aren’t tall enough to support Annex Rooms. Storage – will it fit in the garage? Outside? Pay for safe storage? Not bolted to your car – Trailer Theft can be a concern. When trailer camping, be sure to use chocks to secure your trailer and lock everything down including your hitch & receiver. Check out our detailed Rooftop Tent guide to help you understand the options, configurations, and choices you have with regards to RTT tents, styles, features and tradeoffs. The most important thing for Jeep owners to understand is their mission. It’s the same mantra whether your kiting out for an adventure or modding your Jeep – a haphazard approach can lead to haphazard solutions, So I always advocate being smart, building up some knowledge and planning accordingly. RTT Camping with a Jeep is one of the best experiences in the world. You get close and personal with nature and have the capability to explore and see places that normal cars can’t reach. The freedom of hitting the road with a decked out tent on top or in tow and being able to stop and set up camp whenever and wherever is amazing. 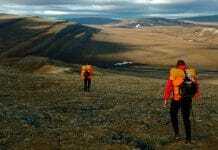 Question: What is the difference between a rooftop tent and overland tent? Answer: None, they’re the same. 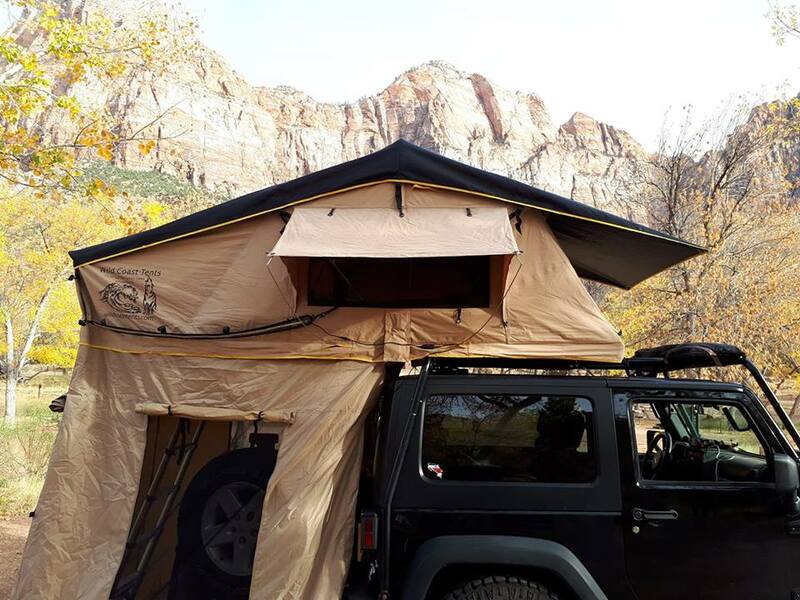 Rooftop tents are often called Jeep Tent, Jeep Tent Top, Overland Tents, Off Road Tent, Car top tent, Car tent, roof rack tent. Question: Are there tents specific to off-roading? Answer: All RTT styles are great for off-roading, but for extreme use, many brands offer a “Ruggedized” version. We hope this whirlwind tour of Rooftop tents for Jeeps helps you understand your options and define your mission. Rooftop tent Camping in our Jeep has been a game changer for our road trips. We’re better rested, happier and more comfortable and enjoying our trips more. The cost of rooftop tents can be a barrier to entry, but to put it into perspective flying a family of four to go on vacation will cost more in tickets for a single trip than what most RTTs cost for years of use. I wouldn’t compare the value of Jeep Roof Tents against ground tents but the value of your sanity, sleep and comfort in a category all by itself. 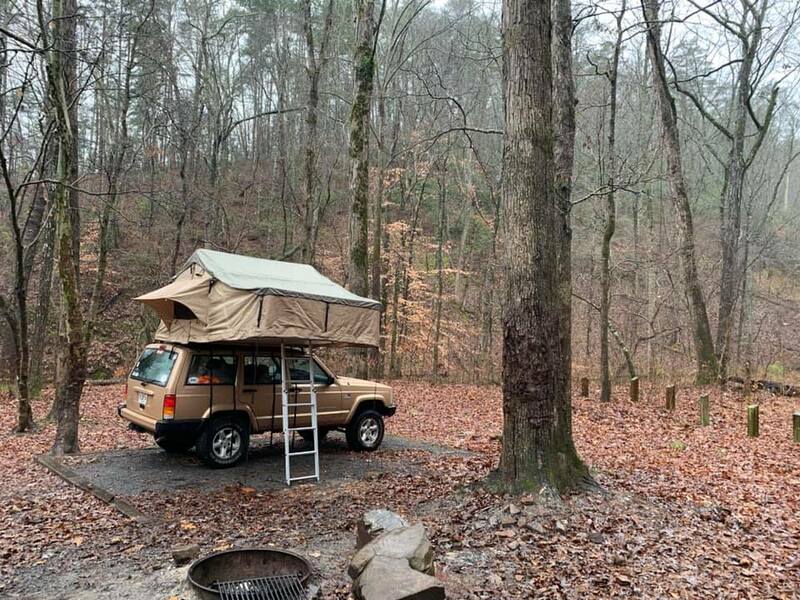 It’s hard to justify rooftop tents against a $59.00 box store tent, but when you can be on the road for two weeks exploring off the beaten path and wilderness camping with your Jeep the value shines. What type of Jeep roof tent do you have installed or tow behind your Jeep? Leave a comment below and post a picture of your rig, we love seeing what our readers have! Next articleJeep Mirror Laws – Don’t get busted with your doors off! Thanks to everyone from Facebook Off road, Overland and Expedition Group for submitting all their photos! 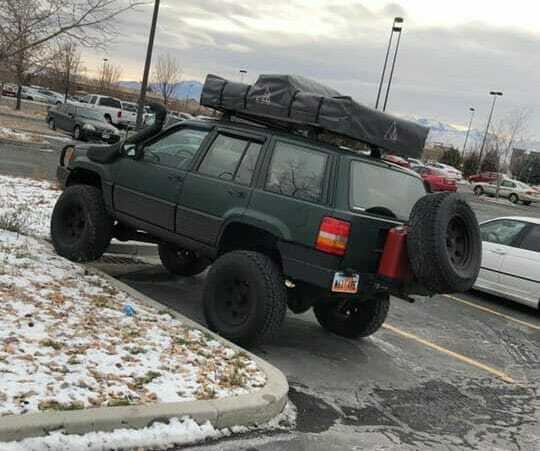 We would be thrilled to see everyone else’s rigs so please leave a comment and upload a picture of your Jeep and your rooftop tent setup!